An x-ray (radiograph) is a noninvasive medical test that helps physicians diagnose and treat a variety of conditions. Imaging with x-rays involves exposing a part of the body to a small dose of ionizing radiation to produce pictures of the inside of the body. X-rays are the oldest and most frequently used form of medical imaging. X-rays are not always needed or required to provide care, however, they can provide valuable information that can rule out or confirm certain conditions. They help to evaluate for fractures, dislocations, infections, arthritis, metabolic conditions or cancer. Most bone x-rays require no special preparation. 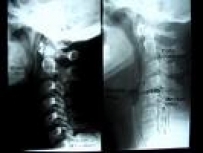 We most commonly refer our patients to have their x-rays performed at either St. Charles Medical Center or other professional facilities that have digital x-rays due to their superior quality and ease of evaluation and immediate access on our computers. We also have Medical Radiologists (physicians specifically trained to supervise and interpret radiology examinations) analyze the images and send a signed report to the doctors at Falling Waters Injury & Health Management who review with you on a large monitor and discuss the results.